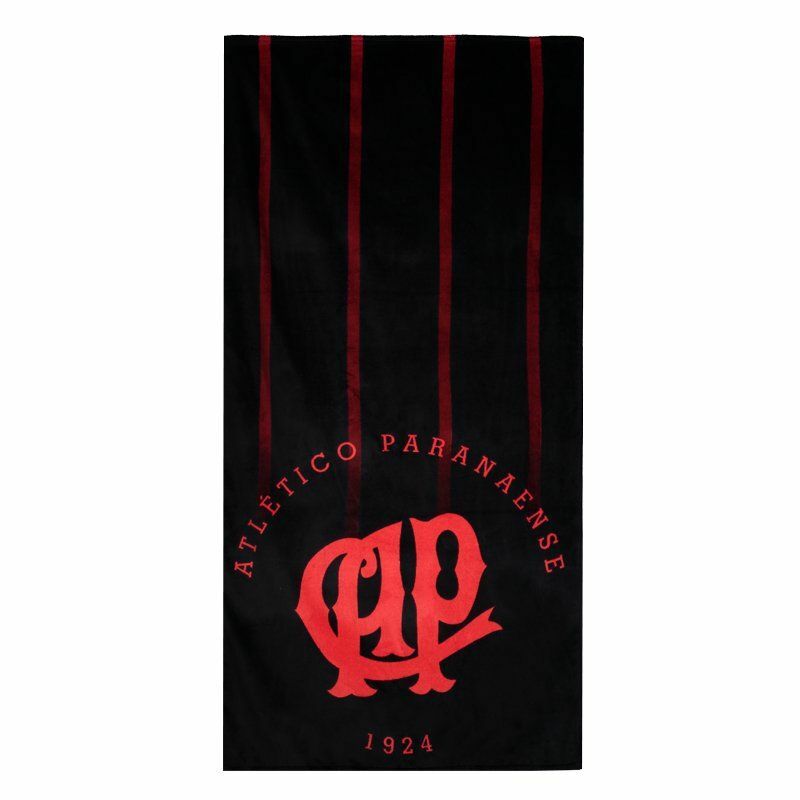 Dohler presents the Atlético Paranaense Stamped Towel, a great choice for fans of the Hurricane to demonstrate their passion for the team in the smallest details. Made of cotton, the piece provides soft touch, plus velvet material, providing maximum comfor More info. Dohler presents the Atlético Paranaense Stamped Towel, a great choice for fans of the Hurricane to demonstrate their passion for the team in the smallest details. Made of cotton, the piece provides soft touch, plus velvet material, providing maximum comfort while absorbing water from the body with ease. Its design is predominantly black with thin vertical stripes in red and club name and badge in prominence. Get it now!